Thursday, August 16 from 10:15 am – 11:00 am. 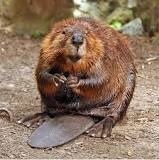 Bring your child to Killingworth Library to learn about about beavers! Stephanie Warren will present “All about beavers” and we will make beaver-themed art!